Three treasure maps led the way to Furbeard, our new Pirate Fancy Cat. This Kitty can only be bred for two weeks, until 11:59 PM PDT on April 26. Plus check out all the new pirate-themed time-limited Purrstige Traits. Breeding Purrstige traits from scratch can be complicated but rewarding. Check out our guide to breeding for Pirate Month! 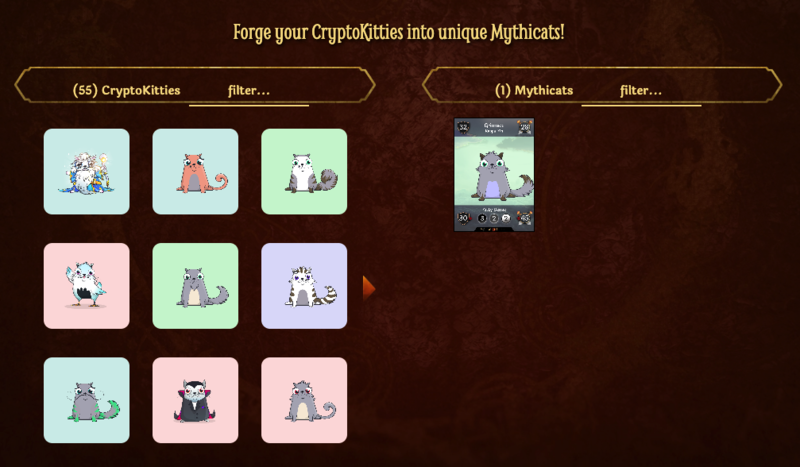 Assemble a deck of cards by forging your CryptoKitties on Mythereum and battle to win a Sparkles Special Edition this Saturday. Mythereum is a collectible card game.